Scientists have found a way for the human heart to repair itself. This discovery may open up new dimensions in cardiac regeneration and repair. 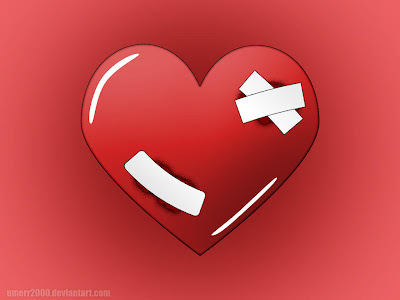 A damaged heart tissue does not have enough capacity for repair. It has no inherent system to do so. But scientists are close to discovering the chemical signals to have the heart produce replacement cardiac muscle cells. Researchers have identified a family of molecules that can stimulate stem cells to develop into beating heart muscle cells. The research is published by Cell Press in the December 21st issue of the journal Chemistry & Biology. "Despite advances in modern medicine, management of myocardial infarction and heart failure remains a major challenge," explains senior study author Dr. Tao P. Zhong from Fudan University in Shanghai, China. "There is intense interest in developing agents that can influence stem cells to differentiate into cardiac cells as well as enhance the inherent regenerative capacities of the heart. Developing therapies that can stimulate heart muscle regeneration in areas of infarction would have enormous medical impact." To search for new molecules involved in heart development, Dr. Zhong and colleagues developed a robust small molecule screen using a zebrafish system. The zebrafish is an excellent model organism to study heart growth and development because there are established genetic approaches that permit visualization of fluorescent beating hearts within transparent embryos. After screening nearly 4,000 compounds, the researchers discovered three structurally related molecules that could selectively enlarge the size of the embryonic heart. The compounds, cardionogen-1, -2, and -3, could promote or inhibit heart formation, depending on when they were administered during development. Cardionogen treatment enlarged the zebrafish heart by stimulating production of new cardiac muscle cells from stem cells. The researchers went on to show that cardionogen could stimulate mouse embryonic stem cells to differentiation into beating cardiac muscle cells. The effects of cardionogen were linked to Wnt signaling, a pathway best known for its role in embryonic and heart development. Cardionogen opposes Wnt signaling to induce cardiac muscle cell formation. Importantly, the interaction of cardionogen with Wnt seemed to be restricted to specific cell types. Taken together, the results identify the cardionogen family members as important modulators of cardiac muscle cell development. "Evaluating the potential of cardionogen on human adult and embryonic stem cells is the next logical step," concludes Dr. Zhong. "This may ultimately aid in design of therapeutic approaches to enhance repopulation of damaged heart muscle and restore function in diseased hearts."